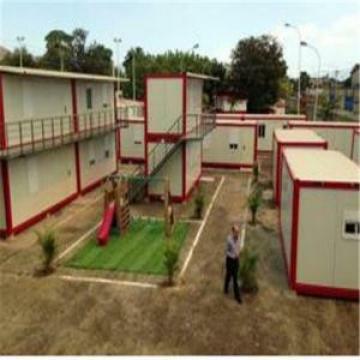 Buy Prefab Flatpack Living Container Home Container House - Leader Machinery Manufacture Co.,Ltd. 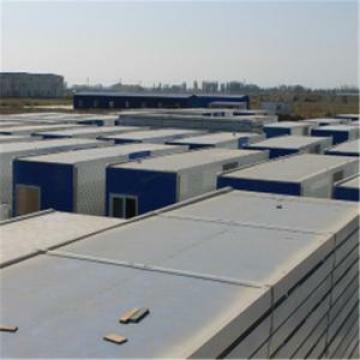 With annual capacity of 3,000 units Prefab Container House, over 1,000 sets Light Steel Prefab House, 100,000 sq.meter Steel Structure Factory. Our factory now become the biggest manufactory of Light Steel Prefab House, Prefab Container House, Steel Structure Factory, Light Steel PVC Fence and some nonstandard steel products at Southwest of China. The product brand of "leader" widely use in construction filed like House, Road, Railway, Bridge, Tunnel and Pwer Station. The famous projects like Ya′an Earthquake Succor. Wenchuan Earthquake Succor, shandong College City, North qingdao New City, etc.With years of export experience, our product famous all over the world by high quality, customers welcome design and warmly service, especially the market of Euro, Africa, Asia and America.We warmly welcome friends here and aboard visit our factory and let us know your request, we will do our best to help you!! We will provide you full instruction manual and excellent after sale services. For special projects, we can also send our engineer to help you move in with satisfaction. To Leader Machinery Manufacture Co.,Ltd. Leader Machinery Manufacture Co.,Ltd.. Copyright © 2017 - 2019 All Rights Reserved.